These RFID Tags Allow Danish Cyclists To Turn Traffic Lights Green « Adafruit Industries – Makers, hackers, artists, designers and engineers! Neat concept on a trial run in Denmark! Via FastCoExist. It really must be heaven to be a cyclist in Denmark. You get lovely, dedicated infrastructure, like this new bridge. You get cities that run analyses showing how bikes are good for people, and cars aren’t. 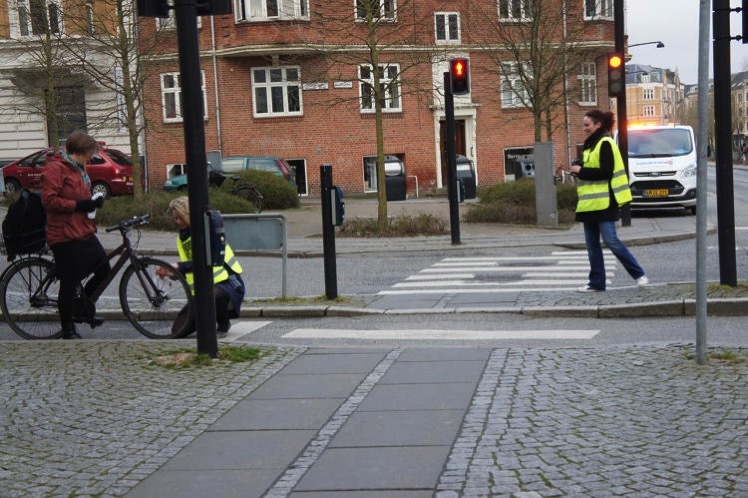 And now, if you live in Aarhus, you can get a special tag to help beat the traffic lights. Aarhus, Denmark’s second largest city, is currently running a trial where cyclists are given RFID tags that they attach to their wheels. As they approach a junction, the tag sends a signal to a nearby reader, which in turn switches the light to green. Cyclists never even have to stop, even as car drivers on the other side of the junction are brought to a standstill.